£35 Sorry - now sold! 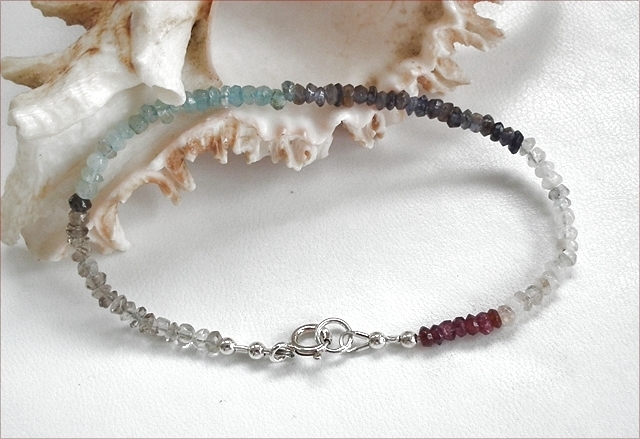 OK, friendship bracelets are normally made from woven threads which very rapidly become tatty and unsightly. 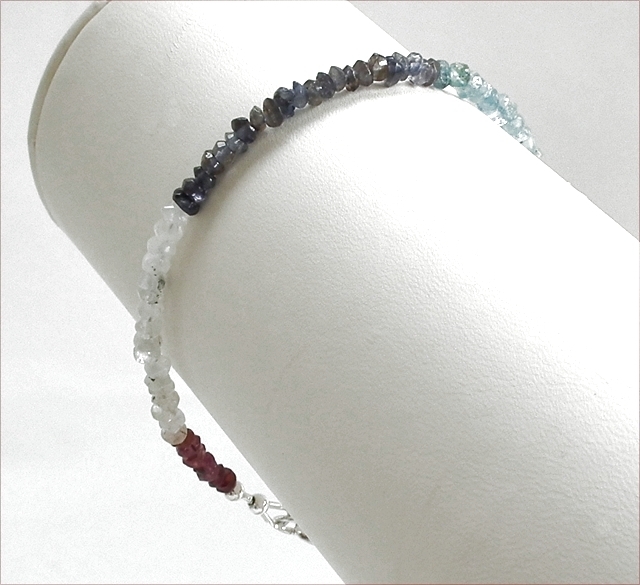 For those of us with more sophisticated tastes a pretty little bracelet in a multitude of tiny gemstones is much better! 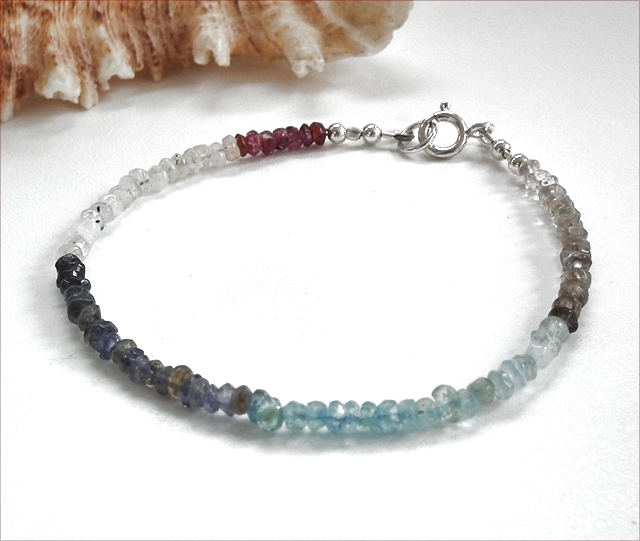 This bracelet, using tiny 3mm stones, comprises bands of garnet, moonstone, iolite, topaz and smoky quartz. 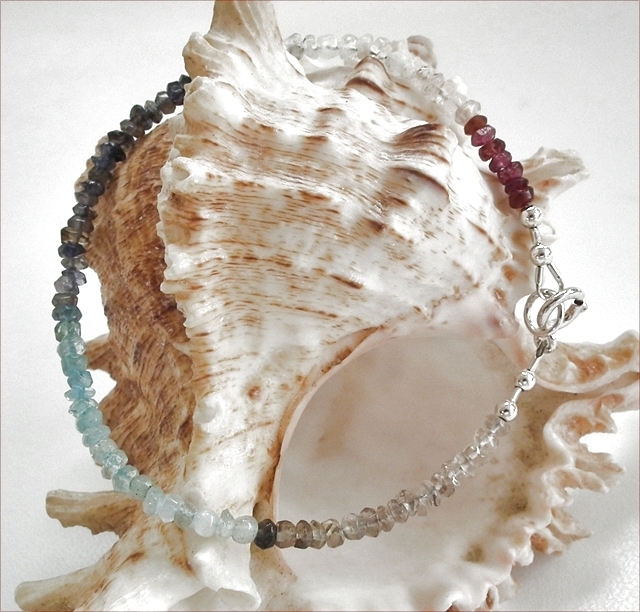 The bracelet measures 8" (210mm) fastening with a sterling silver trigger clasp and comes in an elegant gift box. All silver parts are sterling silver. The perfect gift for a friend - and it will last a lot longer than a bit of string!